You know best what is happening in your business. It is languishing. The market has contracted and even still new competitors are vying for share. Your latest product or service received a lukewarm response.The road ahead is not that clear.Team members are not really working together well enough. Economic recovery is more rumour than fact. It’s all taking too long. Chug along the same way as ever. It’ll all be fine. Do something. 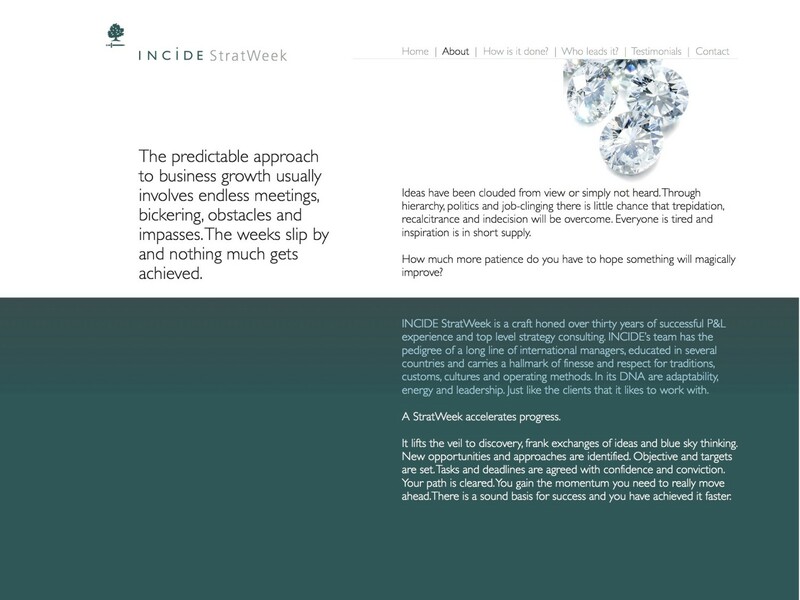 Accelerate progress with an INCIDE StratWeek. 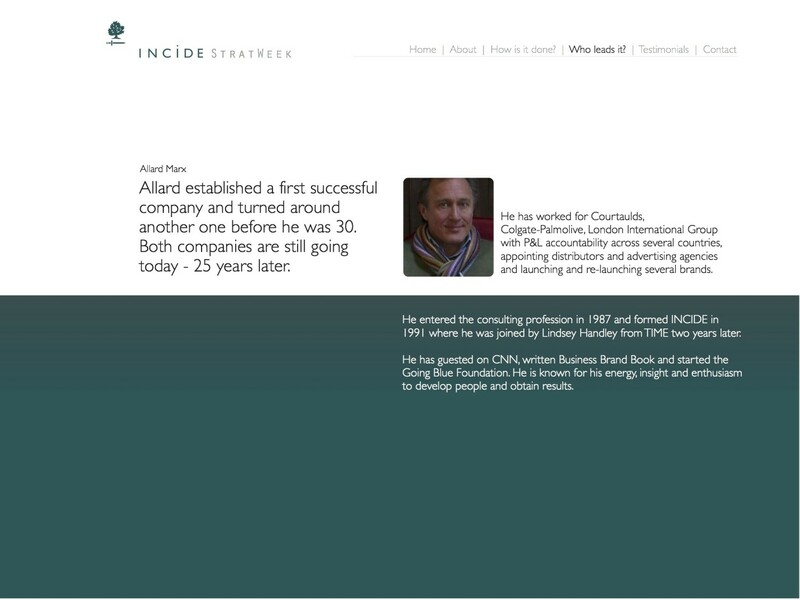 Leverage the intellectual assets of your team. Discover the hidden talents. Unlock the ideas hidden from view. Sound out the options without political interference. 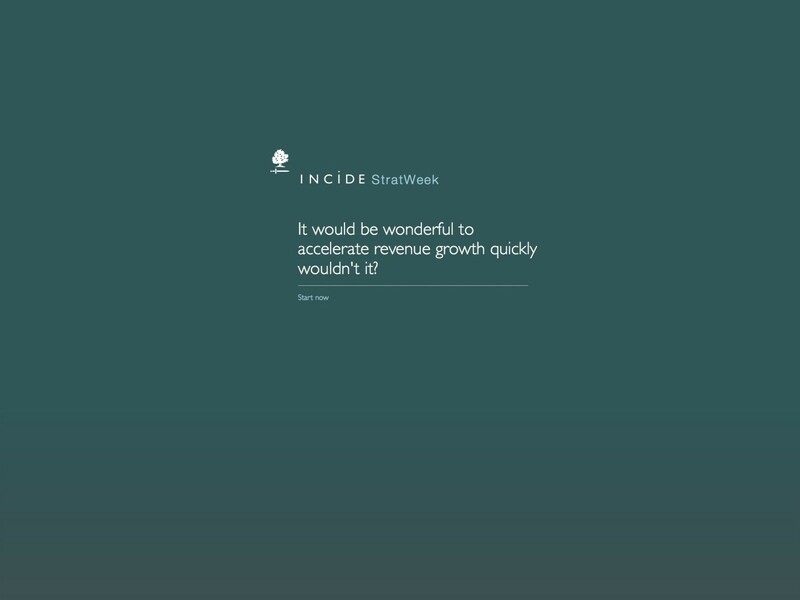 Agree and set out the path to growth and prosperity, add value, fast. Realise the best results possible. Feel good. Start the process now.